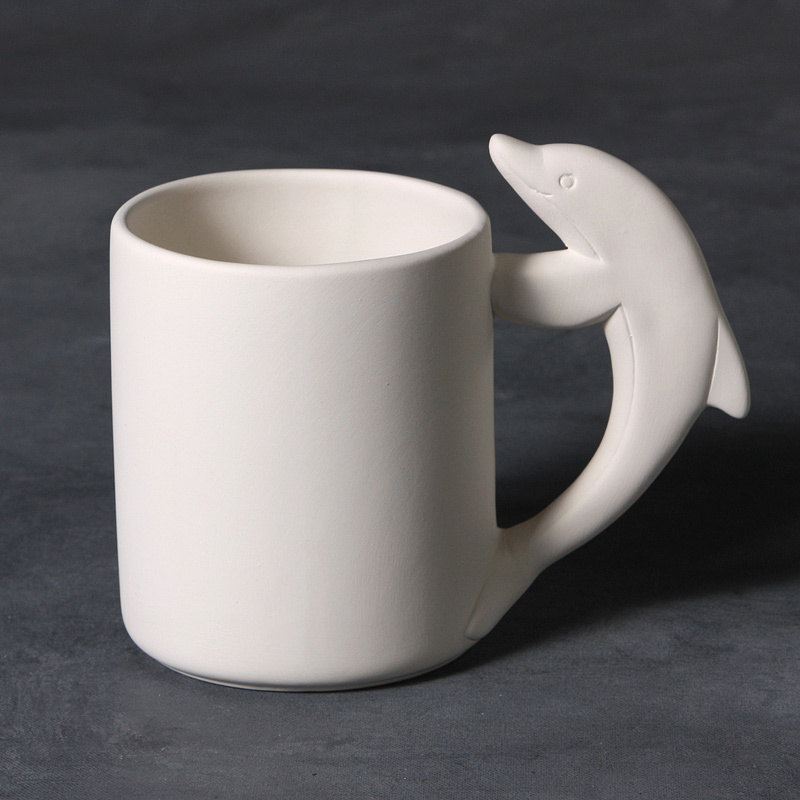 Dolphin shaped bisque mug, measures 11cm tall. 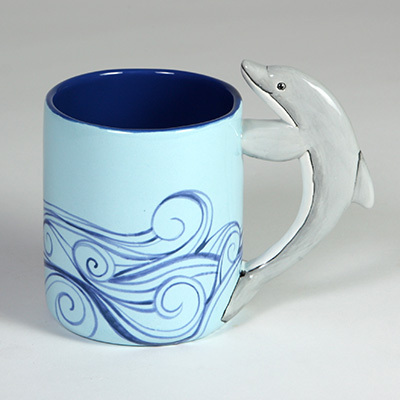 Apply 3 coats of FN-011 Light Blue to the outside of the mug. Once the glaze is comepletley dry, use AC-230 Clay Carbon Paper to transfer the design onto the mug. Using SG-404 Blue Designer Liner, go over the traced design. Using a Liner brush, apply 2 coats of SC-16 Cotton Tail to the belly of the dolphin. Next, apply 3 coats of SC-60 Silver Lining to the rest of the dolphin. Apply 1 coat of SC-15 Tuxedo to the lines on the dolphin. Apply 3 coats of FN-041 Medium Blue to the inside of the mug. Be sure the waves are completley dry, then apply clear glaze over them.